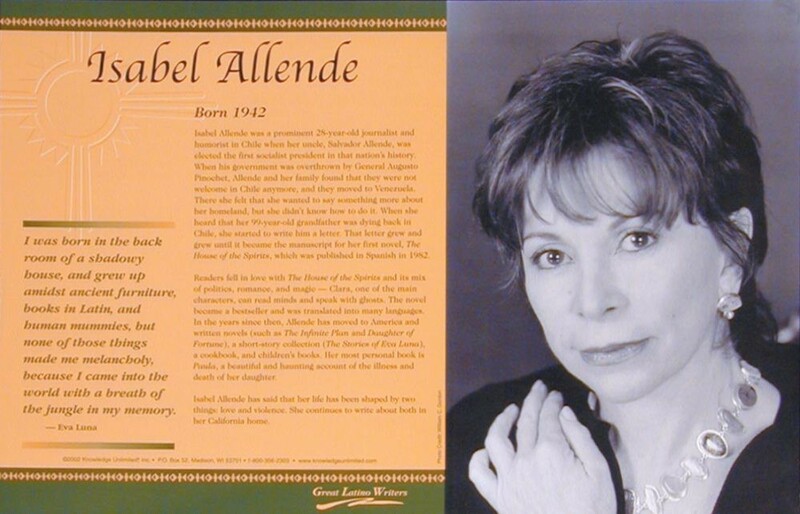 This language arts poster of writer Isabel Allende is one of a series that focuses on great Latino writers. Ms. Allende was forced to leave her native Chile when her uncle, Salvador Allende, who was president of Chile, was overthrown by Augusto Pinochet. 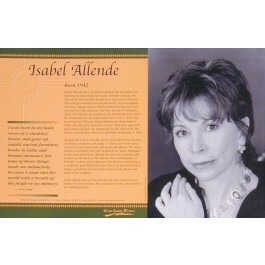 The poster features a photo of Ms. Allende, biographical text, and a quote from her novel, "Eva Luna."